What are aversives? According to the Merriam-Webster Dictionary, aversive is an adjective meaning, “tending to avoid or causing avoidance of a noxious or punishing stimulus <behavior modification by aversive stimulation>.” When we mention aversives as a noun, we are referring to tools trainers use that create the noxious or punishing stimulus referred to in the adjective’s definition. 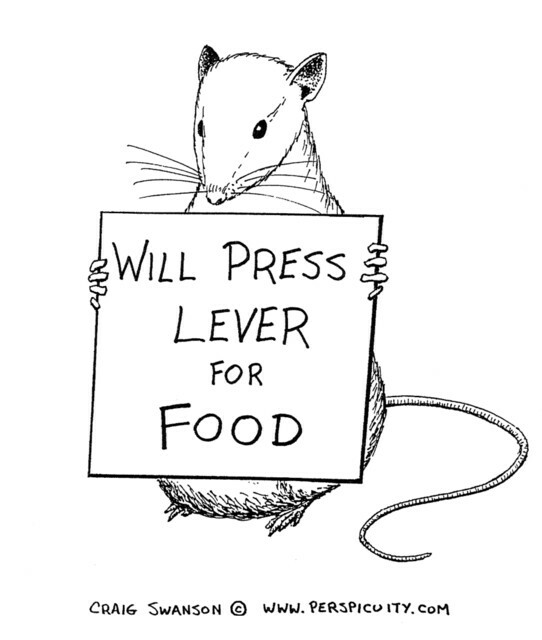 Dogs behave in desired ways because they are avoiding the punishing stimulus. Which begs another question: What is punishment? In psychology, punishment is the reduction of a behavior via a stimulus which is applied (“positive punishment”) or removed (“negative punishment”). Making a disobedient student stay in for recess is an example of negative punishment; issuing extra chores or spanking are examples of positive punishment. The definition requires that punishment is only determined after the fact by the reduction in behavior; if the offending behavior of the subject does not decrease then it is not considered punishment. If a punishment is not serving its intended purpose but continues to be used in the same manner, it then crosses the line from punishment into abuse. This is easy to see if the chosen method of punishment is spanking but is less clear to the layperson when discussing the training methods used on dogs. With all of the research done about learning theory and operant and classical conditioning, why do people still feel the need to use punitive methods when training dogs? Friedrich Nietzsche may have said it best: “…because the desire to punish (and thereby subordinate, coerce, transform) other persons is so deeply rooted in human nature” (Nietzsche 1887). 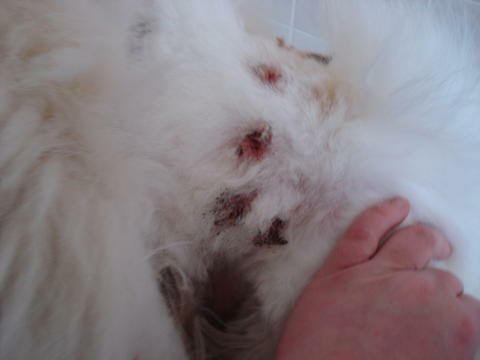 A simple rule applies: if you wouldn’t want it done to you, don’t do it to your dog. There’s much controversy around the use of prong collars in dog training. Trainers who use them swear by them; other trainers and behaviorists are working tirelessly around the country to outlaw their use. People who use them insist they aren’t harmful to the dogs. Prong collars appear to work almost miraculously – put one on your dog and there’s a very good chance he’ll stop pulling on his leash almost immediately. This isn’t because the prongs rest on sensitive pressure points that release calming chemicals in the dog’s brain, instantly making them willing to walk peacefully beside you. It’s plain and simple – they stop pulling because IT HURTS. 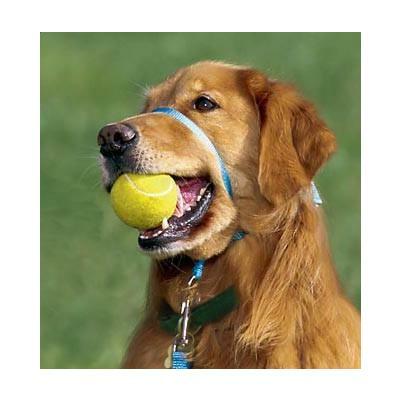 The Gentle Leader, also called a head collar, is a very effective tool for dogs that pull on leash. It works by turning the dog around when he pulls. The dog learns that if he pulls, he will get further away from the thing he’s trying to get closer to; if he wants to continue making forward progress, he needs to walk without pulling. There’s no great mystery to this. It doesn’t involve pressure points on the dog’s face as some less-informed trainers claim. It just turns the dog around. Does it take time to get your dog used to having something on his face? Yes, absolutely. Treats or toys work wonders to distract him from the Gentle Leader; get him moving on his walk and he will quickly forget about the harness. Are Gentle Leaders for every dog? Almost. Any dog can use a Gentle Leader. Dogs with shorter snouts might have problems, such as pugs. I also never use one on a puggle or beagle under 1 year of age because they are very susceptible to cherry eye during this time and I’ve been told by a doggie ophthalmologist that the Gentle Leader may aggravate a cherry eye. But after they’re a year to 18 months old, go for it. This works on the same theory as the Gentle Leader – the leash attaches to the front of the harness right in the middle of the dog’s chest. If they pull against it, they are turned around. Again, they don’t get where they want to go if they insist on pulling. 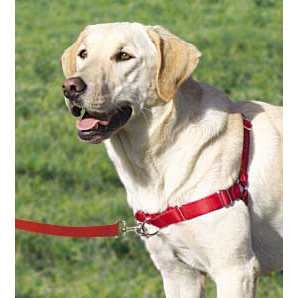 Don’t confuse the Easy-Walk Harness with harnesses that have the leash attachment on the back of the dog. These harnesses actually encourage pulling due to the opposition reflex. It’s a naturally-occurring reflex that causes humans and dogs to pull or push against that which is pulling or pushing against us. Sled dogs use harnesses in training in order to build drive; you don’t need to build drive in Fido when you’re trying to walk him around the block! Besides the infliction of pain, there are other reasons for not using a prong collar. Second, they can be harmful to the bond you are trying to build with your dog. Think of it in terms of children – if your parents repeatedly used something that hurt you, seemingly at their own will and mercy, would you trust them? No, you would be afraid of them, anxiously anticipating when the device was going to surface again and trying your best to appease them so they wouldn’t hurt you so badly this time. What do you think your dog is doing when you pull out the collar and he sits with his ears flattened against his head? Third, prong collars can actually train your dog to be aggressive! Think I’m kidding? Here’s how that works….you take your dog for a walk on a prong collar, issuing “small” leash corrections when he does something you don’t like. Along comes another dog, who your dog would like to greet in a very friendly and canine-appropriate way…sniffing the other dog’s nether regions. You don’t like this behavior, so you jerk on the leash and make him continue to walk along with you. After a few days of this, your dog starts to realize that when another dog comes around, you jerk on his leash and hurt him. He now wants that other dog to stay away, so he starts demonstrating behaviors designed to tell the other dog just that – “Go away! My lady is crazy! She’s going to hurt me if you come any closer! GO AWAY! !” To you, this looks and sounds like leash aggression, so once again you jerk on the leash and try to get him to behave. He learns to stop barking, but he is still very anxious about the other dog coming near. Your dog is now faced with a “fight or flight” decision. He’s tried everything he knows to prevent the dog from coming near, but the dog continues his approach. Your dog can’t flee because he’s got this collar on that won’t let him move one inch away from you, so he has no choice but to fight, and as soon as that other dog is in striking distance, that’s exactly what happens. Congratulations, you now have a leash aggressive dog. Remember my simple rule? Would YOU wear a prong collar and allow someone to lead you around by a leash? 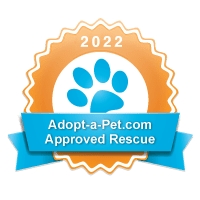 Why subject your dog to this when there are alternative methods – more humane methods and more reliable methods – for teaching your dog not to pull on his leash? Nietzsche, Friedrich, 1887, On the Genealogy of Morals, tr. Walter Kaufmann, New York: Vintage, 1969. Oh really. Injuries can occur when inexperienced users use any training collar. Chain choke-collars can cause tracheal injury and even death. Gentle Leaders can also cause injury. Dogs claw at the Gentle Leader and scratch their faces and eyes. This can result in corneal damage. Not all dogs get used to the Gentle Leader. My dog has been using a Gentle Leader for 2 years and she still tries to claw it off sometimes. I’ve also heard of dogs who have had their lips torn by the Gentle Leader. While my dog hasn’t received any injuries with the Gentle Leader, after 2 years, she still pulls and she jumps and lunges when other dogs, cats, or anything else catches her eye. Obedience classes didn’t help. A chain choke collar didn’t help. Stopping and waiting didn’t help. Nothing helped my dog to walk properly on the leash. I’m ready to try out a well fitting prong collar for my dog. I only plan to use it for a couple of months for training purposes. If it doesn’t work by then, I’ll have to just go back to the Gentle Leader. Yes, injuries can and do occur when anyone mis-uses a training tool. I too have had dogs in the rescue that just wouldn’t allow me to ever put a Gentle Leader on them, even after months of desensitization work. In her case we used the Sense-ible harness and everything was fine after that. What you will find with a well-fitting prong collar is that it will not work if the collar is on, so while you may intend to only use it for a few months, you will never be able to walk your dog without it. Same with a choke chain.